Wow, is this what passes for an intellectual leftist on a little-watched tumbleweed of a network?! I don't care who you are, that there is funny!!! Ain't it swell being a Prog?! Yeah, because Trump Twitter-targeted him. 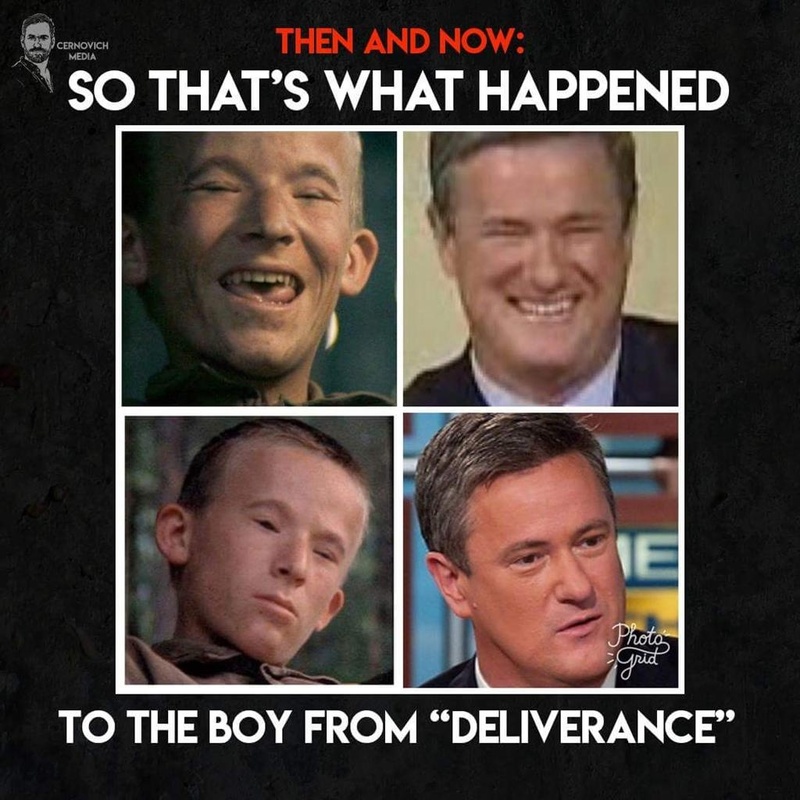 President Trump has "early stages of dementia," according to sources close to the president, Joe Scarborough claimed Thursday morning. And yet no mention of Pelosi. The man is an idiot he can't help himself and as the old saying goes "you can't fix stupid"